June 12 (UPI) — According to new research, the environmental protections offered by coral reefs are worth billions of dollars annually. Globally, reefs protect approximately 44,000 miles of coastline from flooding and storm surges. But those natural fortifications — and the economic benefits they provide — are increasingly threatened by global warming, ocean acidification and ocean deoxygenation. When researchers at the Nature Conservancy and University of California used flooding cost models employed by the insurance industry to calculate the cost savings provided by coral reefs, they found the natural fortifications save the global economy roughly $4 billion a year. If coral reefs were to recede by a single meter, just over three feet, damages caused by near-shore flooding would likely double, totaling $8 billion per year. If extreme weather events increase in size and frequency, as predicted by climate change models, researchers found the protective benefits provided by coral reefs will be even more vital — worth as much as $100 billion annually. “Reefs provide more benefit for lower intensity, frequent storms, but even during more extreme events the benefits of reefs to people and property are substantial,” researchers wrote in their paper, published Tuesday in the journal Nature Communications. Without reefs, scientists calculated, damages caused by a 100-year coastal flood event would increase by 91 percent. Though the researchers focused on the economic, or monetary, benefits provide by coral reefs, they acknowledged that reefs, of course, protect people and the places where they live. They determined 1.7 million people would be impacted during 25-year floods without coral reefs. 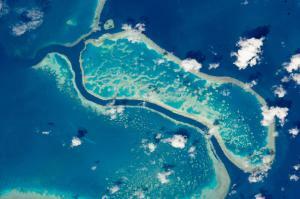 The new research found reefs are most important to nations in the Caribbean and South Pacific. The Philippines, Malaysia, Cuba and the Dominican Republic have the most to gain by protecting their coral reefs and the most to lose should they continue to decline. In addition to flood protection, reefs also offer shelter to thousands of marine species, forming the backbone of some of the most biodiverse regions in the world’s oceans.